While Luke Scott (son of Ridley Scott) has been working as a commercial and second unit director for years, this weekend will see his first Hollywood movie being released in theaters and it’s the thriller Morgan. The film stars Kate Mara as a corporate risk-management consultant that is brought in to evaluate whether or not to terminate a newly created “human” played by Anya Taylor-Joy. 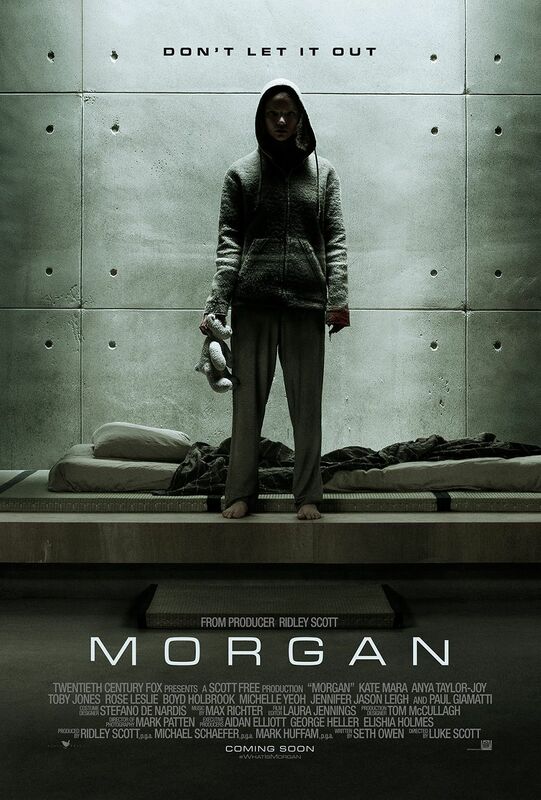 Morgan also stars Toby Jones, Rose Leslie, Boyd Holbrook, Michelle Yeoh, Jennifer Jason Leigh, and Paul Giamatti. At the recent Los Angeles press day I landed an exclusive video interview with Luke Scott. He talked about how the story isn’t that far off from what we’ll soon to be able to do as a society, being on the set of Alien as a kid, when he knew that he wanted to make movies, what it was like directing his first Hollywood movie, and more. Check out what he had to say in the interview above and below you can check out the trailer if you missed it.